Welcome to OC DIESEL, the nation's diesel performance parts experts and industry leader in providing superior quality BD Diesel Performance products. OC DIESEL strives to provide excellent service, quality components, and the lowest prices on any BD Diesel Performance product that is offered here online. Now offering a wide selection of BD Diesel Performance products for diesel truck owners who continually demand high performance, horsepower, and fuel economy enhancements made exclusively for the 6.7L Dodge Cummins Diesel, 5.9L Dodge Cummins Diesel, 6.6L GM Duramax Diesel, 6.7L Ford Powerstroke Diesel, 6.4L Ford Powerstroke Diesel, 6.0L Ford Powerstroke Diesel, and 7.3L Ford Powerstroke Diesel. BD Diesel Performance products are also offered to the GM C4500/C5500 Medium Duty Series Truck Cab and Chassis, Sterling 4500/5500, F450/550/650/750 Series Trucks, RV, Motorhome Diesel Pusher, Toterhome Transport, and Heavy Duty Semi Tractors. Diesel owners come to know the beneficial aspects of fuel efficiency versus power ratio. While supporting a purpose or specific need such as recreation use, heavy towing, daily driving, drag racing, sled pulling, mud bogging, or all the above, BD Diesel Performance products provide an increase in horsepower and fuel economy. Adding BD Diesel Performance products help allow for a stronger running, more efficient, and improved operating engine. Get replacement part for any BD Diesel Performance product including EGR delete kits, fuel stop plates, intercooler hoses and clamps, banjo bolts, billet input shafts, injectors, exhaust brake parts and more. We are ready to answer your BD Diesel Performance questions. Don't hesitate to call any one of our BD Diesel Performance experts at (714) 848-2170 between the hours of 8am and 5pm PST. Experience SECURE online shopping here. Buy NOW and SAVE! Welcome to BD Diesel Performance! 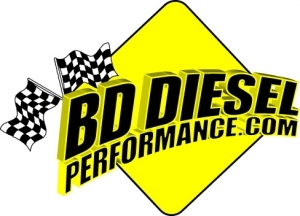 Get your BD Diesel Performance products at the best price now. The BD Diesel Performance Experts! OC DIESEL - Where you will find knowledgeable customer service, quality performance parts, lowest prices, and fast shipping on any BD Diesel Performance products here online! Need Professional Diesel BD Diesel Performance Installation? OC DIESEL offers Professional Diesel BD Diesel Performance Installation, Service, Diagnostic & Repair. The OC DIESEL Organization offers BD Diesel Performance products and accessories as wells as diagnostics, repair, maintenance and service to all light duty pick-up trucks including the Power Wagon 6.7L Dodge Cummins Diesel and 5.9L Dodge Cummins Diesel.